Gender-variant Kids: How drag could help them cope with bullying. Could thinking of clothes as a game or “disguise” help gender-variant kids cope? That’s what RuPaul says at the start of each episode of her Logo reality show, RuPaul’s Drag U, to the biological women who’ve come to the drag impresario seeking a makeover, both of fashion and outlook on life. The pithy aphorism is more profound than it might first appear: Drag is not just for professional queens. We all do drag every day. For example, I’m currently working a New York editorial assistant look of a casual-but-office-appropriate forest-green polo and skinny jeans; later, I’ll be giving butch Julia Child at a birthday dinner with the help of a pinstripe apron and lime oven mitts. The point is that once you realize that self-presentation is essentially a game—a vocabulary of signifiers that you can manipulate and that don’t necessarily define your innermost being—dressing yourself becomes both strategic and fun. The night before Susan and Rob allowed their son to go to preschool in a dress, they sent an e-mail to parents of his classmates. Alex, they wrote, “has been gender-fluid for as long as we can remember, and at the moment he is equally passionate about and identified with soccer players and princesses, superheroes and ballerinas (not to mention lava and unicorns, dinosaurs and glitter rainbows).” They explained that Alex had recently become inconsolable about his parents’ ban on wearing dresses beyond dress-up time. After consulting their pediatrician, a psychologist and parents of other gender-nonconforming children, they concluded that “the important thing was to teach him not to be ashamed of who he feels he is.” Thus, the purple-pink-and-yellow-striped dress he would be wearing that next morning. Reading Padawer’s account of the emotional pain that these nonconforming children experience merely because they want to wear a dress to preschool, I couldn’t help but think that drag, conceptualized the way I describe above, might be a useful coping mechanism for both parent and child. I understand, of course, why most sympathetic parents wouldn’t go there first—when most of us think drag, we think of garish, delightfully ridiculous queens parading around dodgey night clubs. 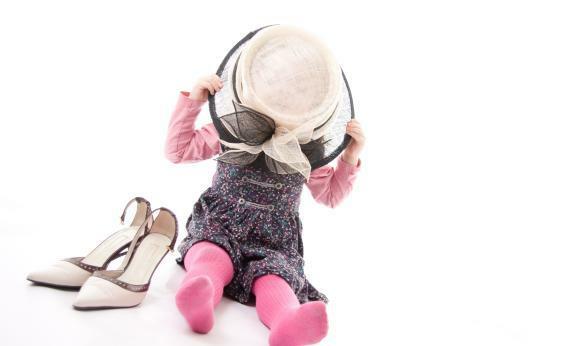 But, considering that many of these kids are already smitten with the common childhood pastime “playing dress-up,” why not extend that notion beyond the playroom? If drag is really just a kind of culture hacking, then perhaps these parents might present dressing in traditional male attire on occasion (for safety’s sake or similar reasons) as a kind of trick that a boy who prefers sparkly things could play on his none-the-wiser peers. A “disguise” could make the otherwise unpleasant experience of dressing against his natural inclinations special and emboldening, with the added benefit of undermining the unhealthy connection we often draw between clothes and our essential being. If who Alex “is” (whether that ends up being gay, transgendered or just a straight guy with interesting taste) could be divorced somewhat from his outfit on any given day, he might learn earlier than most that getting through life requires some finessing of society’s expectations and that exploiting those expectations to your advantage can be at lot more enjoyable than tripping over them at every turn. In an ideal world, of course, the limited range of sartorial choices appropriate to each gender would be exploded, and progressive teachers (including one impressive example mentioned in Padawer’s piece) are doing their best to educate children in that direction. But, in order to deal with the imperfect present, the philosophy of drag might provide one way to help these kids and their parents flip the script from painful to empowering.